Attention Business owners and Investors! This Real Estate is being offered as a package deal or it will be separated. The perspective buyer will save money purchasing as a package deal. 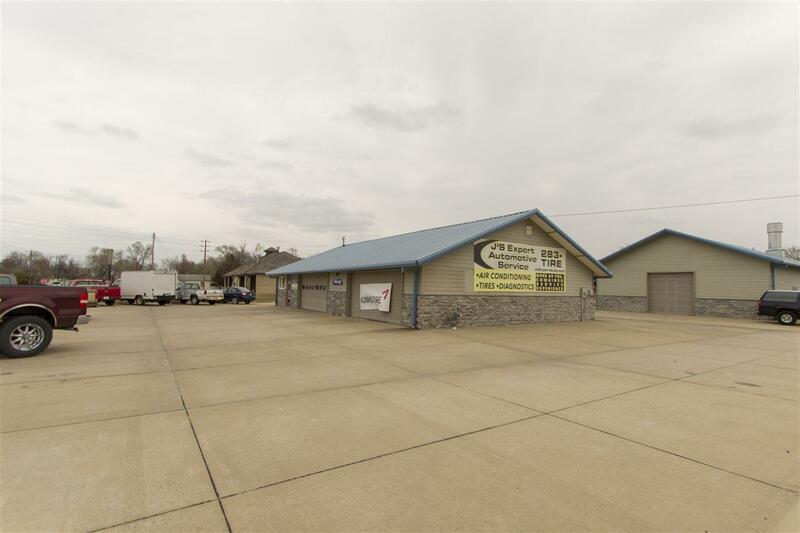 All together you have 2 buildings and 2 vacant lots all zoned C-2 which is the General Commercial district. 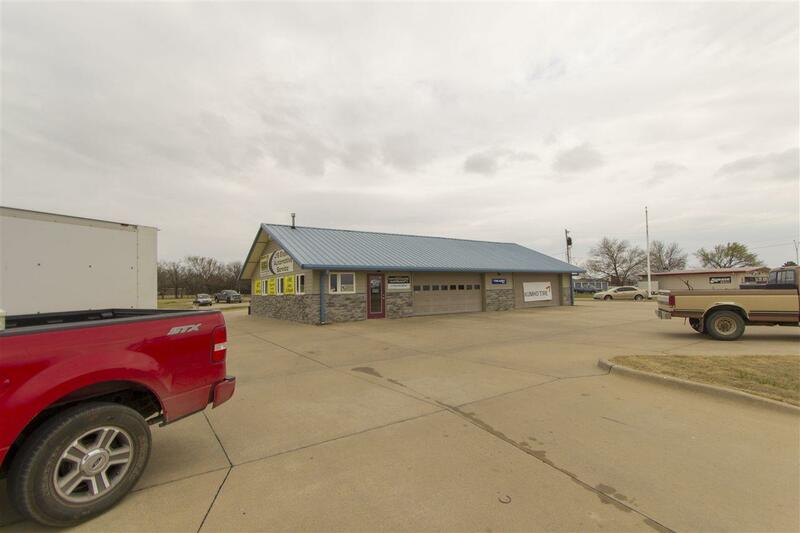 Package deal includes: both buildings and both vacant lots for $300,000 Individual prices: $265,000 for both buildings and $50,000 for the lots. Possible Allowable Uses are: Wholesale Business, Wand and auto car wash, Hotel/motel, Publishing or job printing, Restaurant, Liquor store, Business or professional offices, Storage Garage, Auto and Truck Repair, club and /or Lodge, Building Materials Sales, Grocery Market, Barber or Beauty Shop, Ice Cream Parlor, Commercial Greenhouse, Commercial Recreation, Carpenter or other shop, Hospital, Drug Store, Clothes Cleaning, and Auto Service Station. Here are the details: Building. 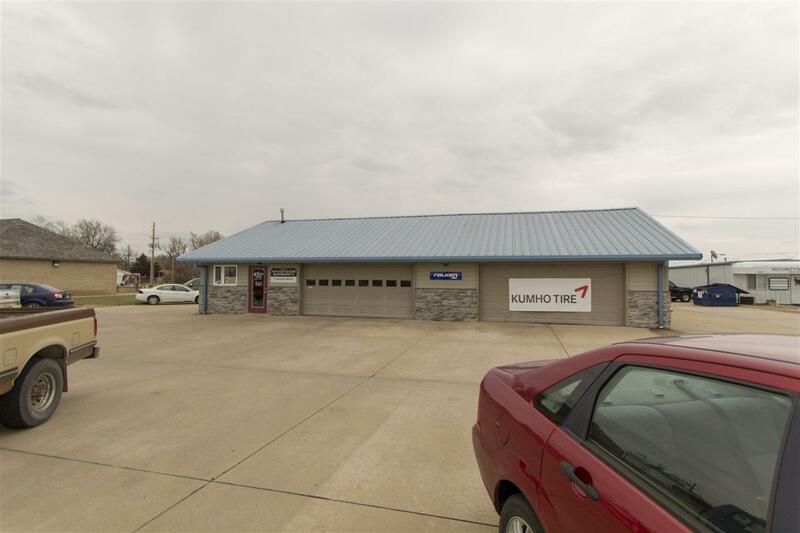 The two buildings consist of two auto service buildings with vehicular access available by way of overhead doors. 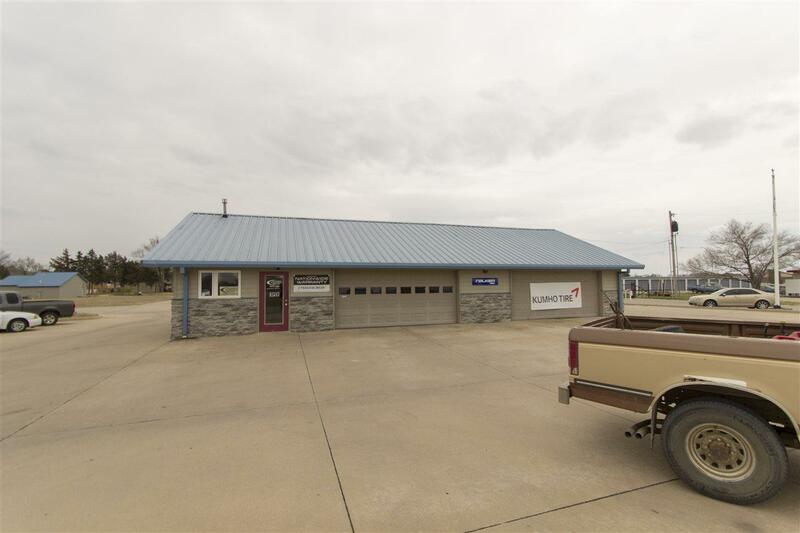 There are concrete floors and there is more than ample concrete parking available. For the purpose of this description, we will be referring to the front building, which faces Old Main St. as Building 1. The rear building which is situated behind Building 1 will be referred to as Building 2. The buildings share similar construction with chip board and Styrofoam sandwich panel walls and roof structure. These panels are approximately 6" thick and consist of 1/2" chip board panels with 5" more or less of Styrofoam between. These are tilted up for the walls and are supported by wood frame rafters for the ceiling structure. This technology allows for increased energy efficiency and quiet. The exterior doors are hollow core steel with glazed glass panes and are in steel frames. The overhead doors are also steel frame and those in Building 1 have electric openers. Interior doors for the most part are hollow core wood doors in wood frames. The windows in each of the structures are vinyl clad frames and crank out casement style windows with dual solar glass panes. The exterior walls have painted lap masonite siding and faux stone wainscot on the fronting walls. The roof cover is enameled corrugated steel sheathing. This is a long lasting and durable roof cover and exterior. The interior of Building 1 has office, and restroom space on the North side approximately 12 ft. deep. This area has a tight looped commercial grate carpeting on the floor and suspended ceilings with florescent light fixtures. There are two framed offices and restrooms at the rear. To the South of the offices are two 24' x 36' bays for auto service. The first has a floor drain system and can be used for auto detailing or washing and cleaning. There is a janitorial sink and drain in the southeast corner of this room and it has overhead doors on each side to allow vehicular access. The ceilings are open and have a strip fluorescent light fixture. The walls in this portion of the building have have FRP cover to prevent water damage to the chip board panels. The second bay has similar style and construction. It too has overhead doors on the front an drear for drive-through access. Building 2 is divided into two occupancies with a small office and restroom space between. It is similar in style and structure to Building 1. The west occupancy is a bit larger and has three overhead doors on the north side and one 12 ft high door on the west end. The east occupancy has two overhead doors on the north side and only a pedestrian door on the east side. The restrooms have a stool, lavatory, and the west occupancy has a shower. Each of these has a rolled vinyl on the restroom floor.